Some of the results below from the state data (pulled 5/27) below do not include precinct totals removed for privacy. "889" "18,191" "16,934" "12,030" "1,572" "3,027"
For the precincts above, the max, min, mean for the Clinton margin over Sanders. 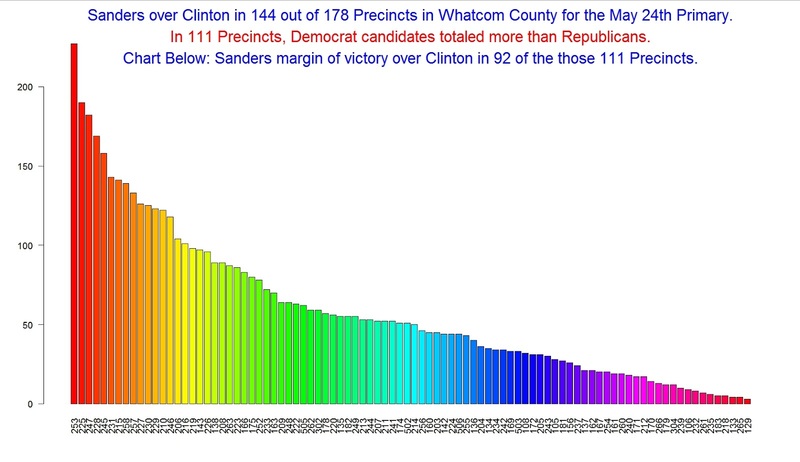 For the precincts above max, min, mean for Sanders Margin over Clinton.